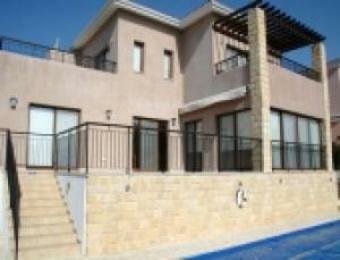 A 3/ 4 bedtroom (Resale) villa with swimming pool in Tala Village, Paphos. The villa is built on 3-levels. The utility/storage room on the ground floor has been converted to a 4th bedroom.